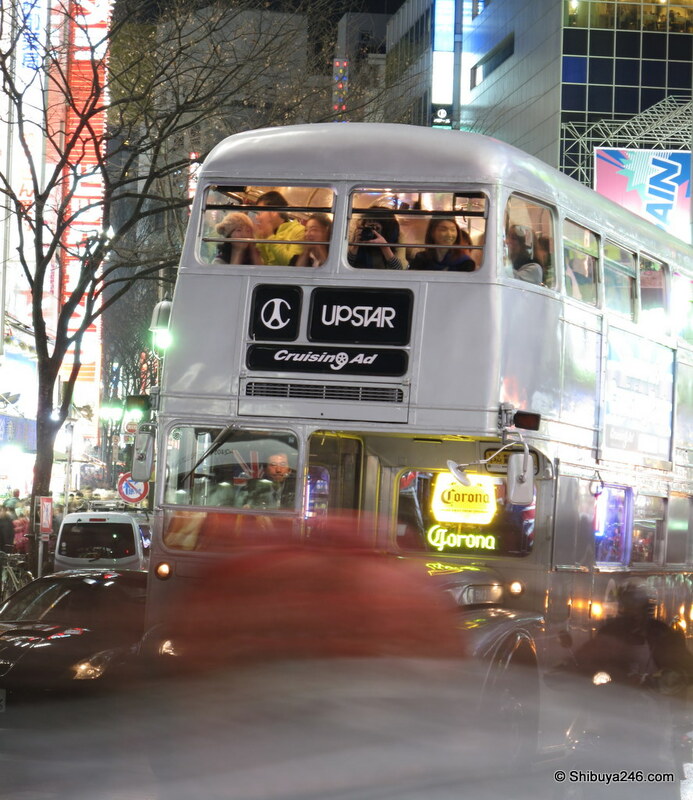 I was on my way home tonight and i saw this double decker bus passing Shibuya station. I didnt manage to get a good shot of it before it cruised off into the night, but it appears to be a bar on wheels that has advertising on it. It was strange to see the mixture of the Corona sign with the Union Jack behind the driver and the bus all white. Does anyone know anything more about this? I would have liked to have had the chance to take a picture from side on but the bus kept rolling. It is not the first time to see such out of place vehicles or people at Shibuya crossing. It really is a crossroads of life for Shibuya. That is a reserved car called party bus. Thanks. Great marketing idea and better use of the road than those big trucks that circle the streets just with the advertising on the side.